Earlier today, a member of the Chicago Genealogy Facebook Group mentioned that some Chicago-area Catholic burials can now be browsed online for free at FamilySearch. 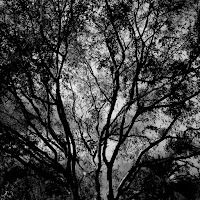 In response to that, Nick Gombash of Hungary Exchange and Nick Gombash's Genealogy Blog posted an easy-to-use list of links to the various cemetery records. Nick's list is a very useful tool for Chicago-area research and so, with his permission, I'm sharing it here. Happy searching! And Happy Halloween! In recent months, I've begun to work on polishing my research and writing skills and I've discovered that reading genealogy articles is an enjoyable way to study up. It's helpful to hear what people have to say, but it's also helpful to think about how they say it. I decided to explore the collection and thought it might be useful to share a few things I learned. What do the publications include? 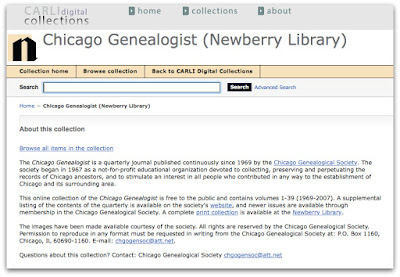 Answer: Articles related to Chicago families, book reviews, queries, record transcriptions, and many lists of names of Chicago residents drawn from every imaginable source. So, how do you access the online images? 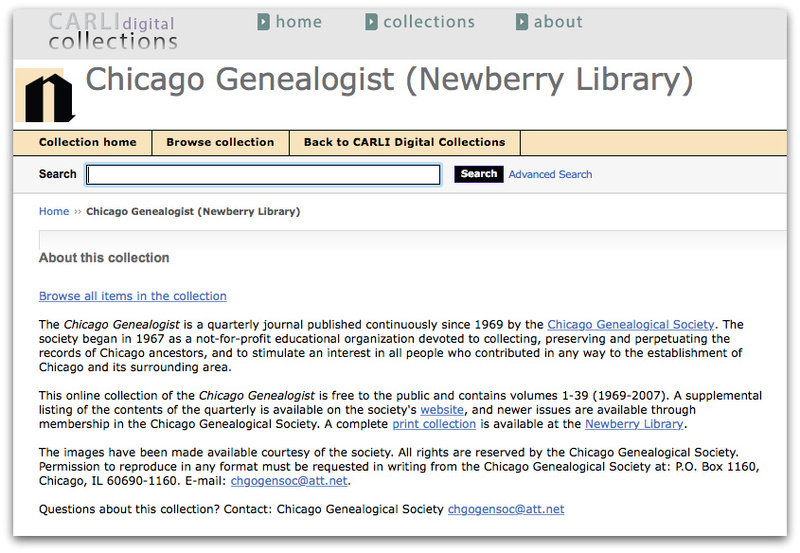 Start by visiting CARLI's "Chicago Genealogist (Newberry Library) page at http://collections.carli.illinois.edu/cdm/landingpage/collection/nby_cgs. This page offers two options: search and browse. 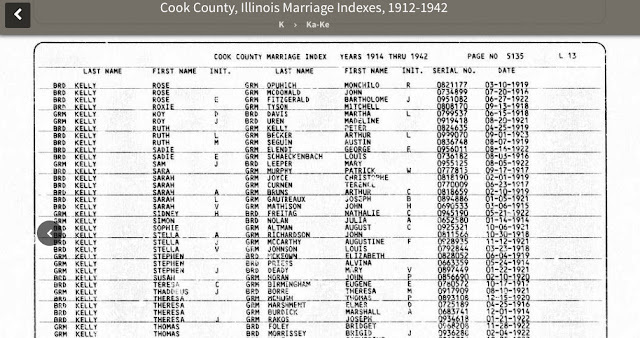 As a test, I searched "macfarland," a Chicago surname related to my current project. The results returned two thumbnails. Clicking on one of the thumbnails took me to a list of photos that the author hoped to return to descendants and the entry--"MacFARLAND, Joseph (father of Henry)"--matched the family I'm researching. Nice find. If you start with a broad search, you can add keywords and easily narrow the results. If you're taken to the middle of a list of names (likely for many searches), scroll up through the thumbnails to find the first page of the article. It will give you more information. After your first search, the drop-down default will be "within results." Make sure to change it to "new search" if you want to start over. If you choose the browse option, you'll be taken to a thumbnail page, the first of eight. 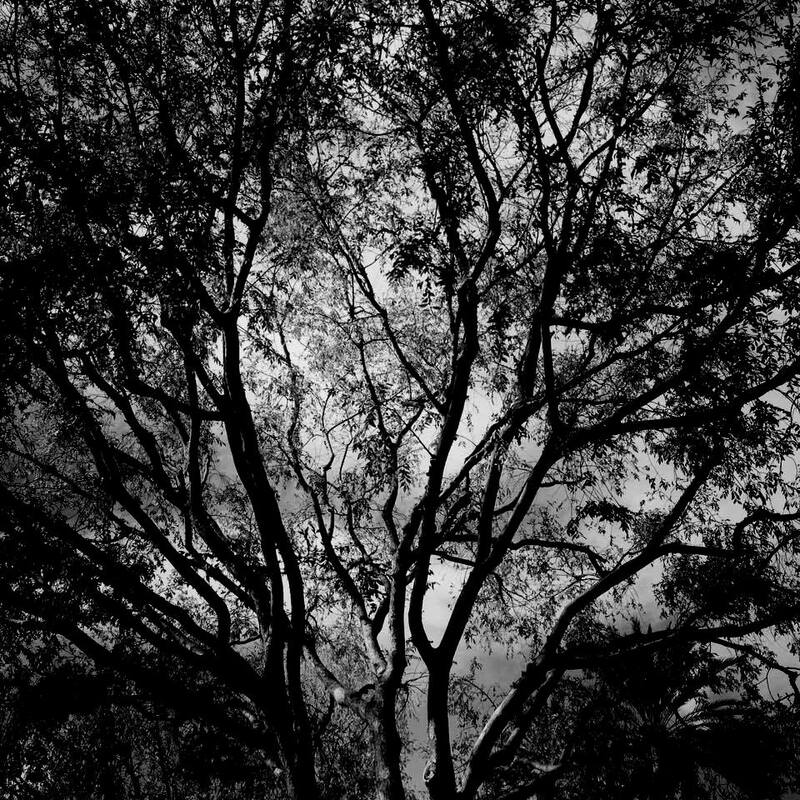 Clicking on a cover image loads the larger image and from there you can click through the pages. If you use the download button to save the file to your computer, you can quickly scroll through the pdf which, I think, is much easier than trying to view the page online. It only took me 15 seconds to download a pdf on a slow wireless connection. If you try to read the pages online, you can expand the view using the little arrows at the bottom of the view window. Use the table of contents to get a quick overview of what each issue contains. If you come across an article or list of name that might be relevant to a number of other researchers, please share in the comments. I'm sure there are some not-to-be-missed treasures in these publications just waiting to be discovered.